Another weekend down- it was busy, I'm exhausted. I'm off to bed. Here's the plant that you millions of Ohioans will unknowingly curse this week. I know I will. I was sneezing so often I could barely take this photo, despite my daily claritin regimen. He blends in quite well! Great capture! 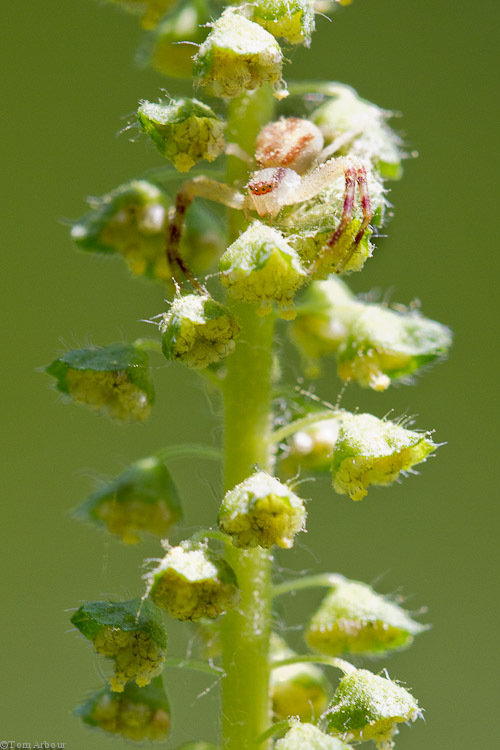 Thanks Kerri- Yes, I wouldn't have seen this spider had I not been trying to photograph the ragweed. Samantha- Well, yeah, but, it's still making me sneeze. :) Thanks!